​DAN MILLIS is the Principal and Foodservice Consultant for Millis & Associates. He is the primary designer and is responsible for everyday operations. Dan has been in the foodservice industry for over 30 years with experience in design, sales, purchasing and equipment installation. He has spent over a decade as a Foodservice consultant working closely with Architects, Designers, Chefs, Foodservice Directors, Administrators and Professional Consultants. To maintain his commitment to providing his customers with the safest and most effective designs possible, Dan routinely attends seminars and functions focused on the latest in industry trends, food code requirements, equipment, food safety and handicap accessibility codes. He is a Senior Associate Member of the Foodservice Consultants Society International (FCSI). ​JACQUELYN KEISER is a Project Manager and CAD Designer for Millis and Associates. She has more than 17 years experience in the foodservice industry. She has been with Millis & Associates since 2003 and is responsible for daily CAD layouts, health department submittals, construction documents and maintaining communication with clients, architects and engineers. Jacquelyn earned a Bachelor of Science in Design from Central Michigan University. She routinely attends seminars and demonstrations focusing on new products and current industry trends and stays up to date on the ever-changing food code requirements. ​PATTI LEOPARDI specializes in CAD generated foodservice designs for Millis and Associates. She been involved in Foodservice Design Industry since the mid eighties. She has been part of the Millis team for six years and is engaged in developing CAD layouts, mechanical, electrical rough-ins and elevations. Responsibilities also include communication with Clients, Architects and Health Departments. Patti attended Lawrence Tech and earned her Bachelors Degree for design from Michigan State University. Patti actively participated in industry educational development seminars and demonstrations. 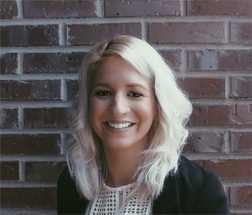 ​​CHRISTINA BYKOWICZ is responsible for CAD drawings, interior finish selections, written equipment specifications, budget estimates, and health department submittals. She attended Eastern Michigan University where she graduated with a Bachelor of Science in Textile Design. She’s found her perfect niche with the Millis team, combining her two passions, food and design. "​We would like to THANK YOU for being a part of this process- without you this would not have been possible!" "Working with Millis & Associates is a pleasure. Building out a restaurant is stressful, and Millis & Associates makes sure that everything from your starting concept to the Health Department inspection goes smoothly."